The first choice for, GOING GREEN. Designed to be the epitome of luxury as well as extremely energy efficient Fleetwood’s windows & doors lead the industry in efficiency. We are proud of our NFRC and AAMA ratings and certifications. Fleetwood windows or doors are a great feature for use in your next LEED project or any home striving to be energy efficient! In fact, Fleetwood is the “Leader” in providing LEED certified homes with green friendly windows and doors. The U.S. Green Building Council’s LEED®(Leadership in Energy and Environmental Design)Green Building Rating System TM provides third party validation that a home has been designed and built to promote sustainability. LEED certification is a voluntary and rigorous process and measures the overall performance of a home in eight categories. LEED can be applied to both commercial and residential buildings and at any point during the building lifecycle. Individual building components themselves are not individually certified, but they can contribute to the points awarded to the project. Fleetwood products can assist with LEED credits in the categories below. Energy & Atmosphere EA Prerequisite 2 Minimum Energy Performance Fleetwood’s energy-efficient products glazed with high performance glass can help maximize the energy performance of windows. Fleetwood’s published performance values are NFRC certified. 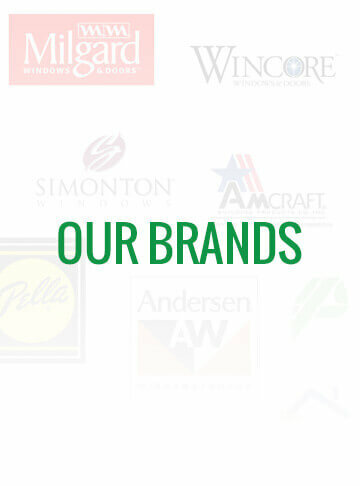 EA Credit 1 Optimize Energy Performance Fleetwood offers window products that meet Energy Star® qualification standards. For specific U-factor and SHGC performance values, review Fleetwood’s published NFRC reports. (Limited Product Availability) EA Credit 2 On-Site Renewable Energy Fleetwood performance values are NFRC certified and can be used in building envelope modeling to achieve desired goals. Materials & Resources MR Credit 4.1 & 4.2 Recycled Content (1 or 2 pts if project materials are 10% or 20% of post consumer + 1/2 pre-consumer recycled content) Fleetwood’s extrusions are comprised of virgin aluminum and, on average, 40% – 50% of post consumer recycled content. Fleetwood manufactures all products in Southern California. You may qualify for regional material credit. Indoor Environmental Quality EQ Credit 2 Increased Ventilation Operable windows can be incorporated as part of a natural ventilation strategy. EQ Credit 4.4 Low-Emitting Materials Fleetwood’s factory painted finishes are factory cured at 400 degrees Fahrenheit and any harmful compounds are safely removed. EQ Credit 8.1 & 8.2 Daylight & Views Fleetwood products can be used to maximize interior daylight. This entry was posted in Replacement Windows Houston. Bookmark the permalink.